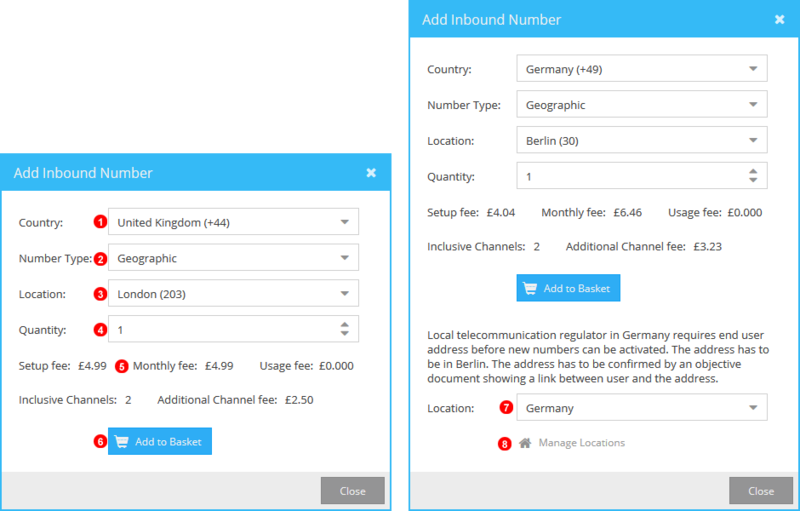 Edit, Add and Manage all Telephone Numbers. Click to Purchase new Numbers. Click to add a number for use as Caller ID only. Allows the filter of all available numbers and Caller ID`s. 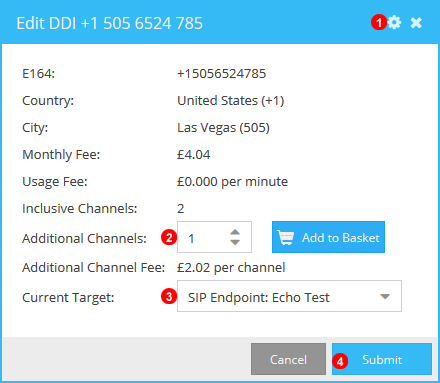 Click to edit and manage numbers and purchase additional channels. Will Provide a summary of purchase. Click to add to basket and complete procurement of numbers. Select Location to connect with number. Click to add new location if required for number. 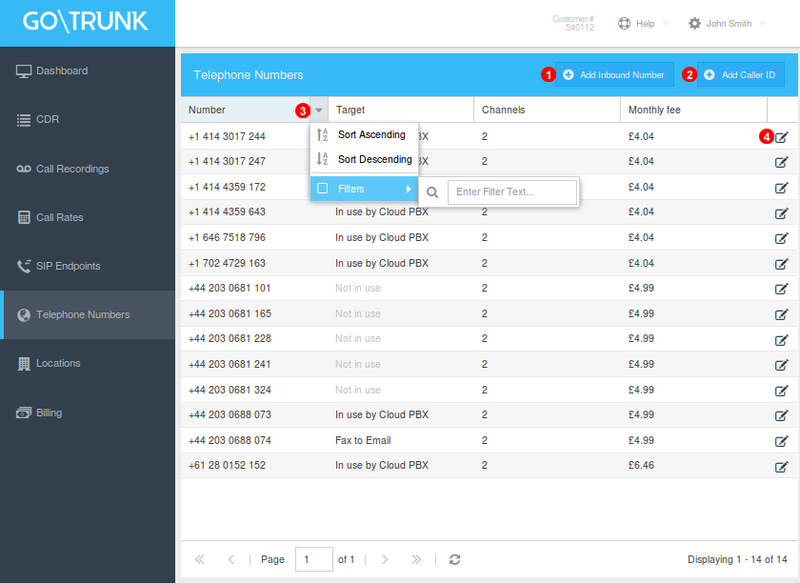 Allows the addition of numbers not with GoTrunk for use as Caller ID. NOTE: Numbers added for use as CLI cannot receive calls on GoTrunk. Enter Country code and number for use as Caller ID. 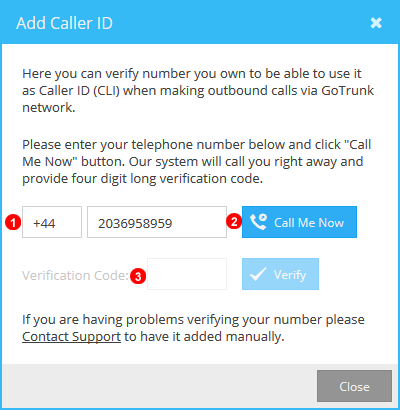 Click Verify to receive a call with the verification code. Enter Verification code to complete adding the number for use as Caller ID. Click the gear to cancel number subscription. Increase Incoming channels additional monthly charge will display then click add to basket and checkout to complete. Click drop down list to change the target of the number.